5 Best Braided Fishing Lines | Stop Losing Fish Because of Weak Lines! Braided fishing line is one of the strongest types of fishing line you can get. In the past, it was braided from cotton, linen, or other natural materials, but modern technology has changed the game, and most braided fishing line is now made from Dacron, Spectra, micro-dyneema, or similar advanced, man-made synthetics. 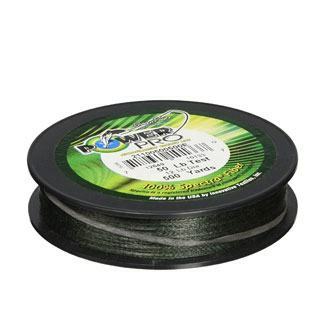 Braided fishing line remains popular today because it’s extremely strong for its diameter and weight, and great for long casts, and deep-ocean fishing. Let’s take a look at the advantages and disadvantages of braided fishing line. Then we’ll look at best braided fishing lines you can buy. What Application Is Braided Line Most Suited For? Braided lines are much stronger than fluorocarbon and monofilament lines. Generally a braided line will be 2 to 4 times stronger than the same diameter of mono. The increased strength of braided lines compared to fluorocarbons means that longer lines can be attached to standard reels . You might be only able to attach 200yards of line to a reel using a thicker monofilament. Braided line will be approximately 1/3rd the thickness, allowing you to add up to 600 yards of the same strength braid. This can be very useful in some situations, especially when fishing in deep ocean waters. Braided lines also are generally very far-casting, allowing you to easily reach max distance. Braided fishing lines also don’t stretch as much. This makes them extremely sensitive to bites. It gives you a great linefeel and the ability to make quick adjustments, which is very useful when jerkbaiting or using a topwater setup. Braided fishing lines are also popular for topwater setups because they typically float well, allowing good visibility and making them great for topwater applications. Braided fishing line tends to have a much higher water visibility factor than comparable fluorocarbon or monofilament lines. This can be fixed by using a combination of braided line and a lower-visibility fluorocarbon or monofilament line as your leader. This will require an extra knot between the main line and the leader. Braided fishing line is also a bit harder to handle – knots in particular, while they do provide great hold – can be slippery and tough to tie, meaning you’ll need a bit of fishing experience (and to tie fishing knots for braided line – Uniknot, Palomar, Trilene, Albright, etc) in order to use them effectively. The slipperiness of the knots can be dealt with in various ways. Many veteran anglers who prefer braided lines use small amounts of Superglue or other Cyanoacrylate adhesives to secure their knots. Braided fishing lines can be used in just about any setup, but as mentioned, they’re very popular for bait casting reels, and they’re especially useful for trolling, where the high line strength and durability, as well as the small diameter allows for long, durable lines that can handle even the largest of prey. This braided fishing line by KastKing was first introduced in 2013. It made a splash by being a top-quality braided fishing line that was priced at only half the cost of competition, and it’s remained a favorite ever since its introduction. This line is made out of 100% Ultra High Molecular Polyethylene fiber – the same sort of fiber used for space-age applications like bulletproof vests and other durable, tough applications. 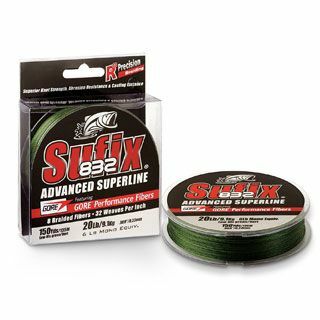 And despite its great abrasion resistance, high knot strength, and superb visibility, this line is treated with a proprietary material coat that helps it stay smooth and flexible when casting out through your guides. This helps prevent snags and skips. 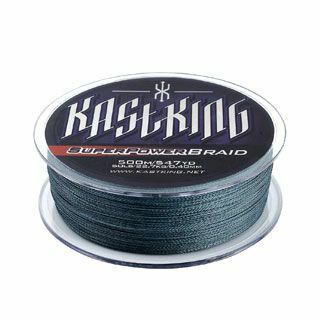 KastKing also claims their line is virtually “memoryless” – that is it won’t degrade over time and start to feel more sluggish like some other monofilament lines, and we’d agree. The line remains very sensitive even after using it for quite a long time, and makes handling it super easy, as well as reducing backlash and other negative effects. It’s available in line weights of 6lbs all the way up to 150lbs, and in 300-1000M reels, so you’ve got plenty of options whether you’re planning on picking up some braided line for your next trip to the lake, or if you’re getting ready to do some serious deep-sea trolling for large, heavy prey. This line by Spiderwire is made of a strong, durable, and low-profile high-tech dyneema PE microfiber, and it’s treated with a proprietary fluor polymer surface treatment that aids in casting by reducing friction, and assuring safe and fast travel through your rod’s guides, and the 8-strand braided construction ensures the line strength that you’d expect from a quality braided line. 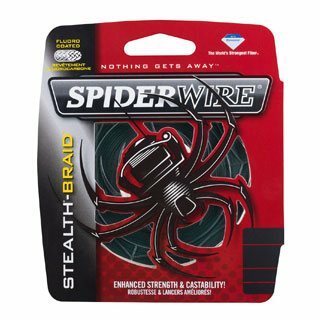 Spiderwire has created this line specifically for maximum strength at minimum diameter – minimizing the high-profile, high-visibility problems that sometimes crop up with heavier braided lines, and the results are great. In Moss Green, the preferred underwater colorway, this line isn’t quite as “invisible” as a clear monofilament choice would be, but it’s darn close, and given the fact you can use a smaller diameter braided line as compared to a monofilament, it certainly gives them a run for their money. Conversely, you can get the high-vis yellow line which is great for topwater fishing – it’s easy to see, and given that it’s a braided line, it’s extremely sensitive with a low memory, giving you great bite response, line control, and linefeel. This offering by Power Pro is crafted of 100% Honeywell Spectra – a high quality, durable, and strong synthetic that’s top of the line, and it’s made with a unique three-end braided construction that’s very sensitive and is 98% stretch-free. It’s also built to be very smooth and rounded, unlike some other lines – it’s finished with a surface treatment that rounds it out quite a bit, and allows it to travel through your fishing guides safely and quickly for long casts. Plenty of power comes in a small package, too – depending on the poundage chosen, this line is 1/5 - 1/4 the diameter of comparable monofilament, so you can really load up your reel if you need to. Its durability makes it a top choice for saltwater fishing – despite the tough conditions of the saltwater, this line holds up well, losing only a little bit of color, and remaining firm and strong. Poundage ranges from 8lb-150lb, and you can get a 150-yard reel, or all the way up to a 3000-yard option if you need some serious lineage. If you’re looking for a translucent braided filament option, look no further. 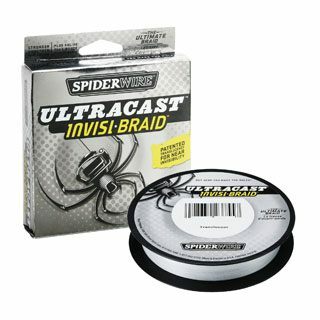 This braided line from Spiderwire incorporates the same high quality, 8-strand design used in their other products (such as the Braided Stealth Superline above) and combines it with a high-quality, translucent polyurethane material for a line that’s both super strong, and near invisible in the water. This is a really smooth line, and it’ll travel quickly and efficiently through your guides, with no snags or snarls due to the high quality plastic coating. Given its high quality and mono-filament like visibility, this is a great line to try if you’re looking to get into braided lines, but are a bit skeptical about its visibility to fish. This line truly combines the best of both worlds in a quality, durable package. It’s available from 8-50lb – a bit lower than its big brother the Braided Stealth Superline – but given the lightweight construction and low visibility, it’s a more specialized line meant for smaller waters. Rapala is known by many for the high quality of their lures, but they’ve also expanded into high quality fishing accessories such as this braided fishing line. It’s created from a combination of two different fibers – 7 Dyneema fibers wrap around a Gore Performance Fiber to create a great combination of strength, sensitivity, and durability that makes this line a delight to fish with. The strength doesn’t come at the cost of performance, either – this lightweight line casts like a dream, and is purpose built for maximum cast distance, low vibration, and a hydrophobic, water-repellent quality that helps it keep its color and protect it from the elements, giving it a long lifespan. The diameter remains low, as well, easily a third of the size of comparable monofilaments, so you can beef up your line without worrying about your reel being able to handle it. Smooth, long-casting, and long-lived. What more could you want from a braided line? While braided lines aren’t appropriate for every single application, they’re a great way to beef up your rods and reels, and bring in heavier fish with no need to fear linesnap. In addition, their sensitivity and non-stretch qualities make them ideal for many different fishing scenarios, such as trolling, topwater fishing, and long-casting bait-and-retrieve applications. So whether you’re a braided-line lover, or still a skeptic, we recommend you try out one of our recommended products, or explore further on your own to find a great braided line.